Xhevdet Sahatxhija graduated at the Zagreb Music Academy in the class of professor Darko Petrinjak. For many years he worked as a guitar teacher at the Music School “Pavao Markovac” in Zagreb. He also works as an associate at the Music Academy in Zagreb and as a professor at the Faculty of Arts in Pristina. 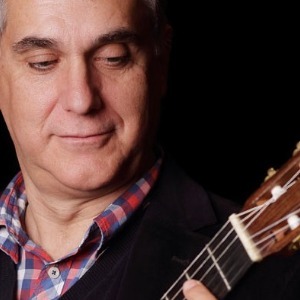 He has educated many generations of young guitarists many of whom have won prizes at international and national competitions and are now recognized artists and music educators. He received the Annual Award of the Croatian music dance instructors for the year 2004. In the period 2003 – 2009 he was the head of the professional council for guitar teachers and a mentor to young teachers. He is also the President of the Croatian Association of Guitar Teachers. Since 2009 he has been the director of the Music School in Novska. In addition to his regular teaching work, he held International Summer School in guitar Pučišće and Milna on the Island of Brač and since last year in Poreč. He is a member of many juries at international, national and regional competitions. Besides his educational work, he performs solo or as a member of various chamber ensembles in concerts at home and abroad.